Our kidneys are continuously cleaning our blood to prevent waste, salt and excess fluid from building up inside our bodies. This process is performed by glomeruli, which are an array of capillaries at the end of kidney tubules. But other parts of the kidneys, the proximal tubules, are responsible for reabsorbing the “good” molecules and return them to our bloodstream. While the reabsorptive functions of the proximal tubule can be compromised by drugs, chemicals, or genetic and blood-borne diseases, how these effects occur is still not clear to scientists. 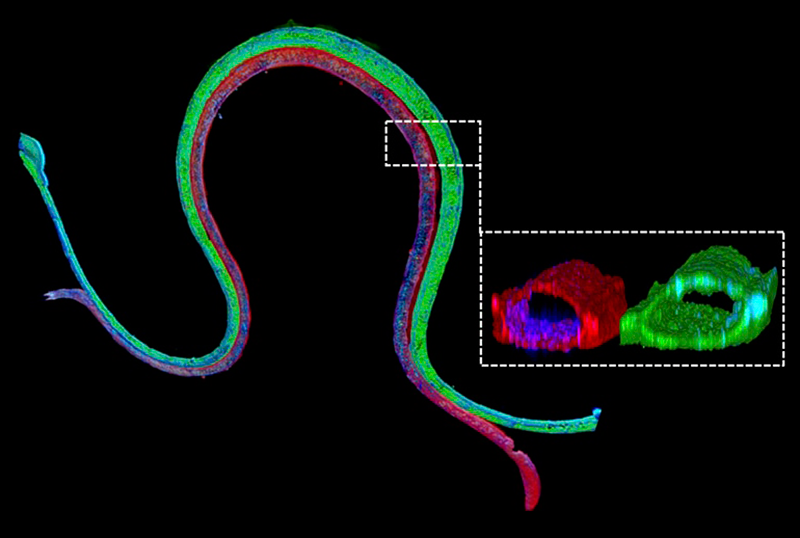 Researchers working at Wyss Institute’s 3D Organ Engineering Initiative in collaboration with the Roche Innovation Center Basel in Switzerland, created a 3D vascularized proximal tubule model in which independently perfusable tubules and blood vessels are printed next to one another within an engineered extracellular matrix. The research team was led by Wyss Institute Core Faculty member Jennifer Lewis, Sc.D. 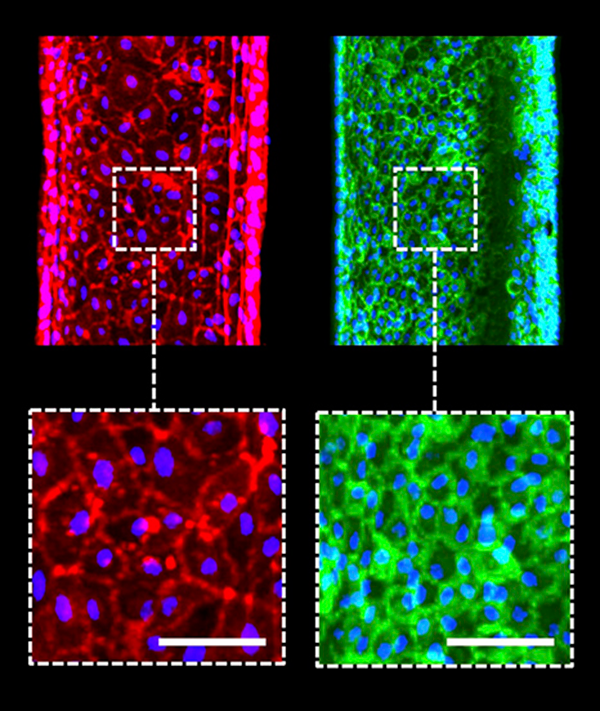 The re-absorptive properties of the proximal tubules are mimicked by this new technology, which can be used to test various drugs to see how they’d perform in a real kidney. Previously, researchers developed proximal tubules, but it lacked matching blood vessels. With the new technology, researchers can conduct experiments that closely imitate natural kidney functions, reports Wyss Institute. The team has already used their new technology to measure the transport of glucose from the proximal tubule to the blood vessels, along with the effects of hyperglycemia, a condition associated with diabetes in patients. Their study is published in the Proceedings of the National Academy of Sciences.